AMMAN, JORDAN (ANS – August 9, 2016) — Bahija, 65, a housekeeper, says she cries every day and suffers from headaches – two years after Islamic State (IS) fighters raided her home in Tel Kayf (outside Mosul) in front of her, while her elderly father lay in bed upstairs. 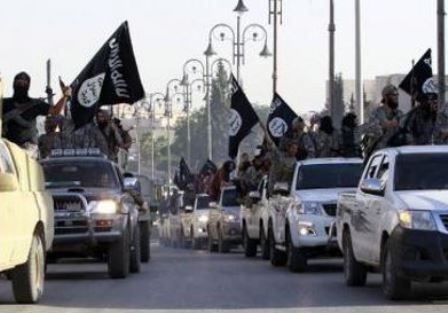 According to a story by Abigail Frymann Rouch and published by World Watch Monitor, Kurdish security forces stationed near their house, by whom the family had expected to be protected, were absent when the jihadists arrived. Two years ago, IS invaded Qaraqosh, a town on the Nineveh plains, which with Mosul, formed the biggest community of Christians in northern Iraq. When it seized control of vast areas of northern Iraq two years ago, IS spray-painted the homes of non-Sunnis with the Arabic letter “N” for “nasrani”, a derogatory term for “Christian,” “M” for members of the military or police, and “R” for “rafithi,” a derogatory term for Shia Muslims, threatening them all with death if they did not convert or leave. Church leaders estimated that between 100,000 and 160,000 Christians fled Mosul and its surrounding villages for Kurdistan in the summer of 2014. Many remain in camps there, while others have traveled to Jordan or Lebanon to join pre-existing Christian communities. Bahija, her sister and their parents first fled to Kurdistan, where a month later, her father died. World Watch Monitor said the women lived for seven months in a room in a church, and spent 11 months at the Ashti camp in Erbil. When hygiene levels in the camp deteriorated, they moved to Amman, Jordan, where they share a sparsely furnished two-roomed house with three other relatives. Bahija said their 80-year-old mother, Bahar, cries at night, has become very fearful and developed high blood pressure since the ordeal. Bahija’s sister, Samira, lost her teacher’s pension as soon as they left Iraq because she worked for 23 years of the 35 years required to qualify. Levels of poverty, hunger and trauma are soaring among the thousands of Iraqi refugees, who have sought refuge in Amman and are receiving little or no aid. Some women have turned to prostitution to make ends meet and some households are missing meals. A 2015 census recorded 130,000 Iraqis in Jordan, among whom Christians appear to be disproportionately represented. In 2007, 12 percent of Iraqi migrants in Jordan were estimated to be Christian, compared to an estimate of 1.6 percent of Christians in the population in Iraq itself (Operation World, 2010). Waves of Iraqis have been arriving in Jordan in the wake of the US-led invasion of 2003. However, World Watch Monitor said, Jordan is also sheltering 1.3 million Syrians, who have fled the horrors of their country’s four-year civil war. The big institutions and NGOs, such as Save the Children, Oxfam and the World Food Program, are focusing their aid on Syrians. UNICEF’s educational programs focus on Syrians, although a spokesman said that some of their facilities are open to all vulnerable children. Three years ago a spokesman for UNHCR said Iraqis registered with UNHCR were “extremely impoverished” because any savings they had arrived with had run out. Since then, the number of Iraqi refugees and the scale of their needs has become more acute. Many are living in basic private accommodation, paid for by local philanthropists or churches, whose resources are being stretched to the limit. A few local clergy are distributing food parcels, furniture, fans and cash-grants to families. They also help with medical care and are supported by a small number of Christian charities, aided by local Muslim individuals and organizations. Some refugees have serious physical injuries from attacks by militias and require ongoing medical treatment. Safwan Hikmat, who owned a shop in Mosul before he fled, has had eight operations on his leg since militias beat him with their guns and ran him over in 2011. He was left unable to walk for two years. He said he was targeted in an attempted “ID killing,” which singled out non-Sunnis. There are considerable mental-health needs among the refugees. Justin Hett, a psychotherapist trainer at the Center for Victims of Torture in Amman, which has seen a huge rise in the need for its services in the last ten years, said issues included post-traumatic stress disorder, suicidal thoughts, anxiety and relationship tensions. Father Emmanuel al-Bana, a Syriac Orthodox priest in Amman – who oversees an informal aid network for hundreds of the 3,000 Iraqi refugee families he says fled to Jordan – said Iraqi Christians’ applications for asylum in the West were often rejected. This can add to their anxiety, if they are insistent on doing that. He said his nephew was in Turkey, trying to reach a relative in Germany. “He’s tempted to go illegally, but he may be lost at sea or killed by border guards on the way,” he added. World Watch Monitor reported that Hungarian Prime Minister, Viktor Orban, has said the size of the largely Muslim refugee influx threatened Europe’s identity. He is now gearing up to hold a referendum on the issue of mandatory migrant quotas, with voters expected to reject the forced resettlement of asylum seekers. On August 4, 2016, the Czech Deputy Prime Minister, Andrej Babis, said his country will not accept refugees, after recent IS-inspired attacks in Germany and France. “I say clearly that I don’t want even a single refugee in the Czech Republic, not even temporarily,” he said. Last summer, these same Eastern European governments faced criticism for saying they wanted to prioritize taking Christian refugees. However, Father al-Bana said some opposition to resettling Christians came from his church’s bishops, who fear the Christian presence dwindling to nothing in the Middle East. For more information, please visit www.worldwatchmonitor.org. Photo captions: 1) Bahar (left), 81, with her daughters, Samira and Bahija. IS beat Bahija and ransacked their home in Tel Kayf, outside Mosul. 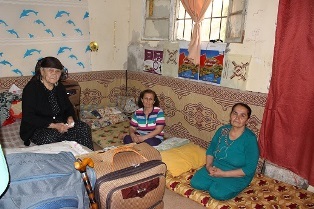 Bahar’s family shares a one-bedroomed house in Amman with another family of three, who sleep in the living room. (World Watch Monitor). 2) At this memorial service, young people performed their own poetry, made music and danced in front of a cross, around which are the names, in Arabic, of the villages still under IS control. (Open Doors International). 3) An urgent plea from a former resident of Mosul. 4) A photo exhibition of the refugees’ first six months away from their homes. (Open Doors International). 5) Front cover of Jeremy Reynald’s latest book. About the writer: Jeremy Reynalds is Senior Correspondent for the ASSIST News Service, a freelance writer and also the founder and CEO of Joy Junction, New Mexico’s largest emergency homeless shelter (www.joyjunction.org). He has a master’s degree in communication from the University of New Mexico, and a Ph.D. in intercultural education from Biola University in Los Angeles. One of his newest books is “From Destitute to Ph.D.” Additional details on the book are available at www.myhomelessjourney.com. 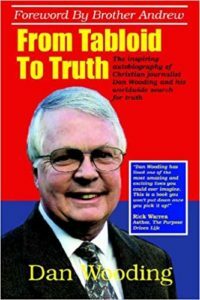 His latest book is “Two Hearts One Vision.” It is available at www.twoheartsonevisionthebook.com. Reynalds lives in Albuquerque, New Mexico with his wife, Elma. For more information, please contact Jeremy Reynalds atjeremyreynalds@gmail.com. ** You may republish this or any of our ANS stories with attribution to the ASSIST News Service (www.assistnews.net). Please tell your friends and colleagues that they too have a complimentary subscription to our news service by going to the above website and signing up there.